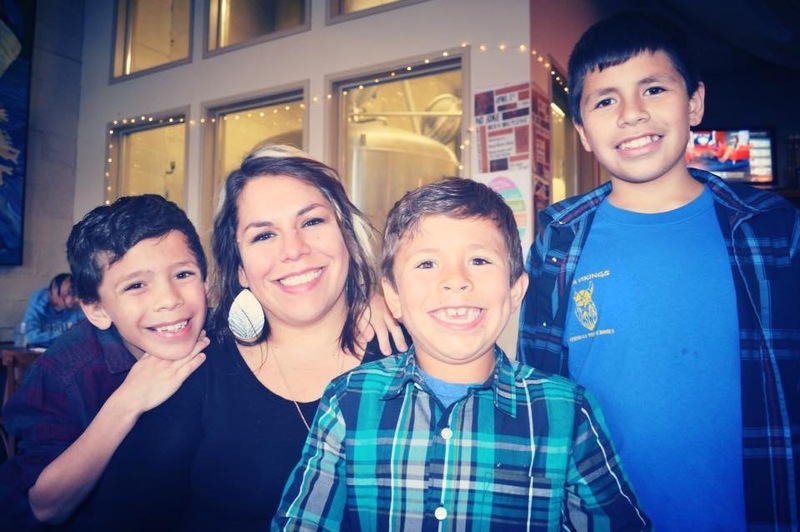 Almost five years ago, when I was working on my divorce from my ex-husband, the most irritating thing (for me, at the time) was that Washington state obligates both parents to attend a six hour “Co-parenting” class. It behooves me that you can get married with no obligatory wait time or trial period, no education in the aspect. Nothing. You pay a fee and set an appointment and before you know it, you can say “I do,” in front of a judge. But to get divorced. Now, there’s a feat. And if you have children together, it’s even more daunting. There is the mandatory Parenting Plan, that establishes so many rules and expectations, such as drop-off and pick-up times, who gets whom when, the ever exciting tax reporting rights, etc. And then this class. You need to devote a Saturday to listening to someone chat about co-parenting and receive an attendance certificate at the end before your divorce is signed off on. In Washington. By the time you get the seal of approval no less than half a calendar year has passed and you are more than ready to be checking single on your W-4. Hell, you might even have a party. I showed up on my Saturday with a headache, tired eyes and no expectations. It was pretty full and I remember thinking that this was a lot of broken families and broken hearts in this room. Divorce is most definitely the right action for some but it doesn’t come without a lot of work, pains in your rear and tears from your children. I remember nothing about the person who facilitated the whole event. I do, however, remember many of the points. First, I want to set something straight. I SINCERELY admire any parent duos who decide to call it quits on their marriage but can still remain civil and respectful to each other for the good of the kiddos. I absolutely think HANDS DOWN that those are amazing anomalies. They are not the norm but they should be acknowledged, cherished, celebrated and revered. I cannot say I envy it but I’m in a different position. I’m in an opposite ballpark, playing a different sport, where there are no rules and tons of restrictions, lots of aggravating circumstances and lacking in the breath of fresh air category. I want to say that there is a BIG DIFFERENCE between co-parenting and parallel parenting and sometimes it’s not such an easy choice, no matter how bad you want to do one or the other. This has been the case with me. I don’t have that sunshiney split that still brings everyone together. I don’t want it. For us, it will never work. I recognize that and I believe it to be healthy, because often times people tend to judge and want to put you down or make you feel bad for knowing what is right for your family. AND YOUR SANITY. I knew, once I heard the speaker differentiate the two, which group I would be in until my kids were grown. Parallel parenting, which I’m a queen at, is where each guardian is doing the parenting on their own. They don’t communicate with each other, mostly because they can’t. Whether it’s because they don’t know how to in a healthy way, or because there is a danger in them trying to work things out, or there’s no respect in at least one of them. Any shadow of a doubt for one of those criteria puts you in PP. The adults are disengaged, with limited contact regardless of where the kiddos are. While there can be circumstances of trust being rebuilt to lower hostility, I don’t see that in our future. One of the points of the speaker, on that obligatory Saturday, was to understand common triggers that make arguments. Oddly enough, the number one reason exes fight when exchanging the kids is clothing. Hearing that, I made a mental note to try my damnedest to let articles of clothing roll off my back. I do. Try my hardest. It has been a hard promise not to break to myself. Sometimes I want that stupid effin jacket to come back home! Or, on the flip side, I still don’t like the style of clothing he buys them. But at least he does and I try to remind myself that even though he likes douchey clothes, they aren’t going to grow up to be douches. Silver lining, right? The other was to verbally allow them to continue to love their other parent. This was a big one for me to hear and understand, because one of the stipulations of the parenting plan was that neither parent nor anyone around the kiddos could verbally bash or speak ill of the other parent. I put that in there for a reason. I know him and his family. They live on rather high pedestals that most common folk can’t ever reach the heights of. It was no secret that they never liked me and they often spoke ish about me when I was in the room. I didn’t expect for one second that they would honor it but it gave me a basis in the event my boys ever came home and shared things with me. I was lucky enough to be granted almost full custody of my mini-men, which meant the most time with me, so I wanted them to know that them loving their dad was okay. Kids never want to choose a parent, unless of course they are meanagers and pissed off at you for not being their friend, so telling them they are allowed to love their other parent gives them permission they want but won’t ask for. One of the biggest benefits is that it removes the children from being witness to toxic parental conflict, which is probably why the divorce is happening. It removes unrealistic mutual cooperation expectations and allows both parents to be equal contributors to the development of their little humans. I don’t know about you guys, but whoever can do that isn’t gonna hear any flack from me! No judgement! Not from me! Whether it’s you or your friends or maybe some acquaintance of yours that are going through some type of broken parenting, don’t be that a-hole that wants to say that one way or the other is a choice. I’ve found that to be untrue for most people. Even in my case, I didn’t have that ability to say I was going to be the bigger person and put my differences aside, for so many reasons. Whatever option works for you, embrace it and continue to do what is best for your babies and will teach them love and respect. Isn’t that the ultimate goal, anyway? Everything in love and respect.